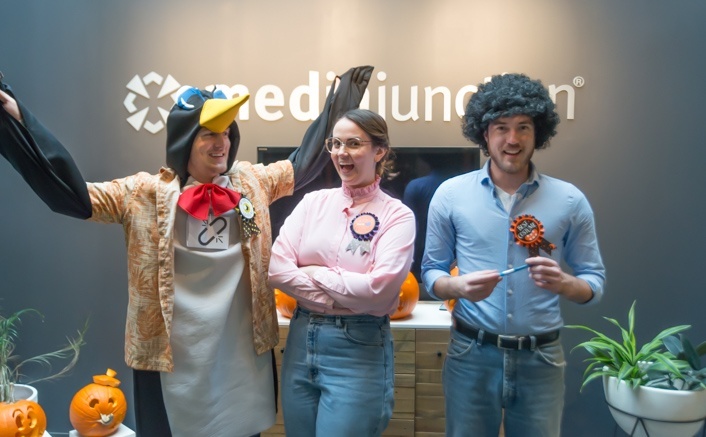 Another Halloween in the books at the Media Junction offices, and to get in the spirit, we held two friendly contests with our team! Besides 6 pizzas getting eaten, 7 pumpkins carved and 1 dog dressed in a Rufferee costume, here’s a quick recap of the festivities. For the Office Costume Contest, we chose 3 different categories the whole office voted on—scariest, funniest and the all around best costume. With the amount of fodder that the past year has given us, it’s no wonder that our group came up with some top-notch, timely costume ideas. Equally comfortable chopping an Oak tree or something more human. Look at that murderous stare. If there was a Best Condiment in Our Office Fridge category, she would’ve gotten my vote. A very classy take on the Prince of Thieves, NOT Arrow! In another recent-Netflix-addition themed costume, Turner, a web designer, decided to pay homage to arguably the most talented of daytime television shows broadcasted on PBS, Bob Ross. He has declared that any site he is working on for the day will incorporate “Happy Trees,” whatever that means. I must confess, when I woke up today, I didn’t know I was going to be the Google Penguin Update, despite just writing about the update. A broken link was pinned to my chest which transformed my costume from “meh” to something much scarier for an inbound marketing agency. With a few different working pieces to her costume, including bunny ears which mechanically moved when she spoke and a Straight Outta Cookies shirt, Abbey's Miss Understood sash was fitting. With ballots cast by each team member, the votes were counted. And then recounted in a voting process reminiscent of the 2000 presidential election. 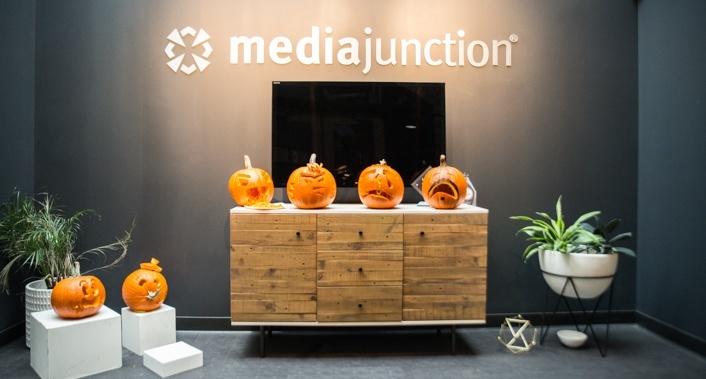 Here are the 2016 Media Junction Costume Contest winners. Not many people are freaked out by penguins, but our Senior Web Strategist sure is. There really isn’t anything funny about the injustice that Barb faced, but whatever. Hold your afro high today, Turner. You earned it! Halloween office parties can bring out the creativity of an already creative team. Because we enjoy watching our team work together and put their collective skills to practice, we decided to split them up into random groups for another friendly competition. We split everyone into random teams of three and assigned one of the 7 human emotions ranging from sadness to joy. 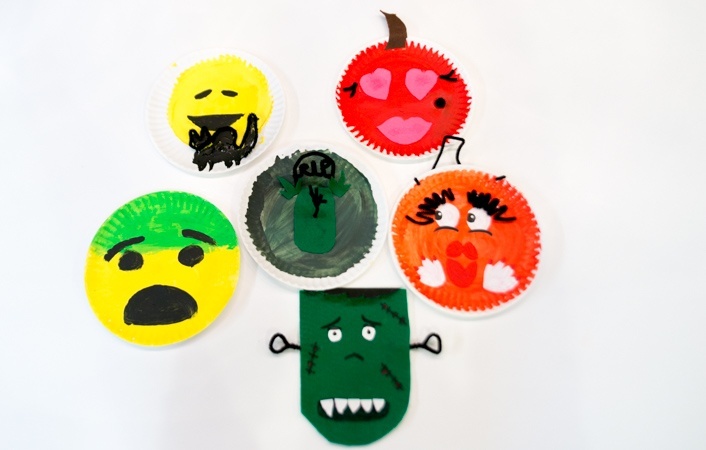 Within 45 minutes, they needed to 1) carve a pumpkin, 2) paint an emoji on a pumpkin and 3) create paper plate art related to their assigned emotion. Each team strategized and chose how to best display their human emotion on their respective mediums. With some highly-creative entries, the anonymous votes were again cast and counted for the team competition. The winner of both the emoji and carved pumpkins was Team #1, which consisted of Zach, Ryan and Ariel. Their ghost emoji pumpkin, expertly crafted by Ariel, also earned her a side prize of an emoji blanket. She was thrilled to receive the fleece blanket because of the frequent temperature changes around the Media Junction office. And of course, since the amount we have eaten leading up to this day wasn’t enough, everyone also received a plastic Trick-or-Treating pumpkin filled with candy. So in that respect, everybody at Media Junction was a winner. 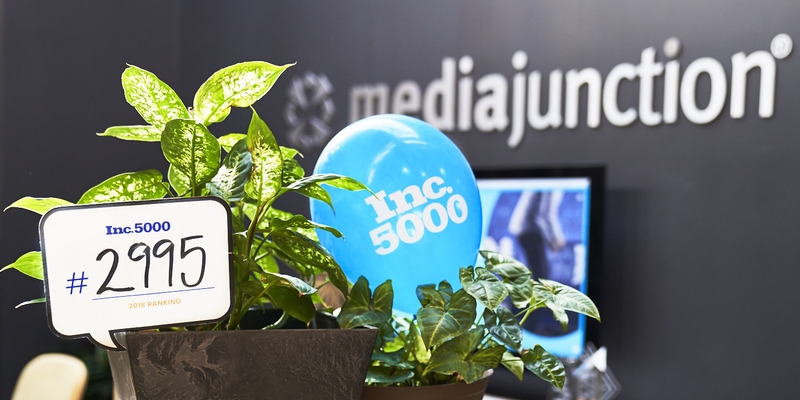 While holidays are a fun way to come together as a team, we strive daily to build and uphold a strong culture at Media Junction. Take a look at our culture code!